SCOTLAND'S leading independent property consultancy CKD Galbraith’s Ayr Office is offering for sale a stunning eco-friendly country house near Ayr. Anyone who recalls the cold weather which hit Ayrshire over the New Year 2009/10, might wish they had been living in a house like Valhalla. 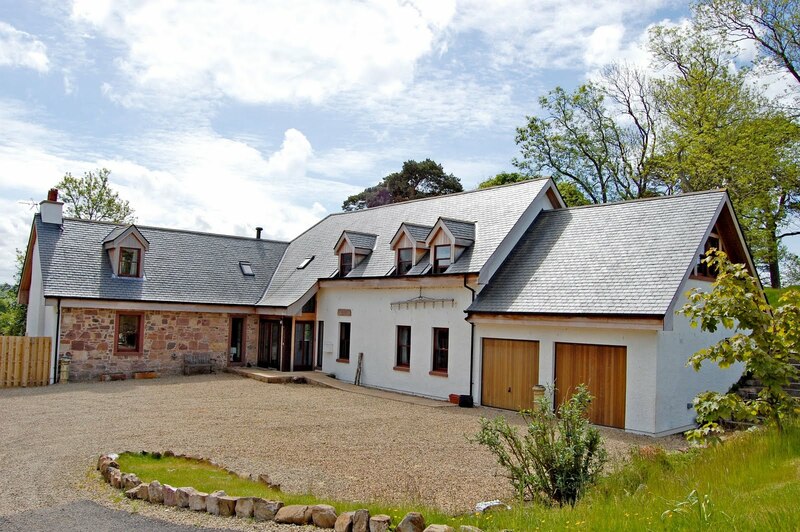 This stunning barn conversion has been designed and built by the current owners to an exacting specification which exceeds Scandinavian standards, resulting in a high “C” energy efficiency rating. 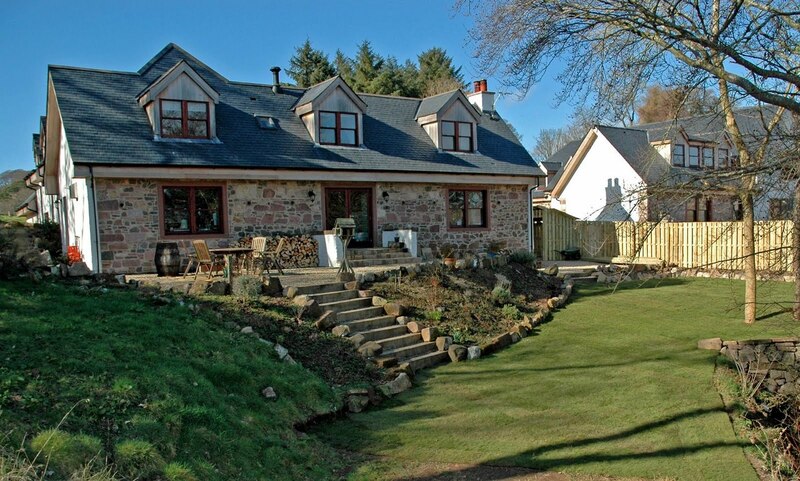 The resulting estimated heating costs of around £740 per annum, are remarkable for a 5 bedroomed house of this size, over 3,700 sq ft.
Valhalla is part of an exclusive settlement of country houses about 10 minutes drive from the county town of Ayr. Completed in 2006, the house has been painstakingly converted from the original stone buildings to form a fabulous home of considerable character. As well as a high specification of insulation and build quality, the owners have combined the use of natural materials together with Scandinavian technology to create a stunning family home. Valhalla is also an eco-enthusiast’s dream. 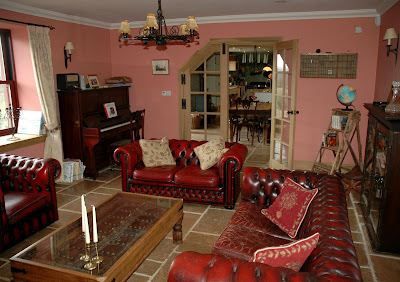 The house is heated by a ground source heat pump – a marvellous carbon neutral solution. Solar panels with an electric backup system provide hot water. Secondary heating is provided via a wood burning stove. These are sources of energy which emit little or no carbon dioxide into the atmosphere. Throughout, the attention to detail and imagination in design is easy to see. The heart of the house is the stunning 38ft kitchen/dining room with double doors leading to a formal lounge. French doors lead to the garden patio, and a staircase to a cosy first floor sitting room or bedroom. There are two further reception rooms, utility room and cloakroom on the ground floor. The first floor includes a wonderful master bedroom suite with en-suite bathroom and separate dressing area. Three further bedrooms are here, one with an en-suite shower room, and separate family bathroom. Outside, the garden and woodland grounds frame the house and provide a backdrop to the lovely south westerly views. Properties like Valhalla are unusual in Ayrshire. This is an outstanding opportunity for a family looking for eco-friendly living in a highly efficient home. There are currently 745 Ayrshire business stories permanently archived on this site. To locate those of most interest to you, please use the site search facility in the top left hand corner of this page. Type your search term in the white box, then click the magnifying glass symbol.